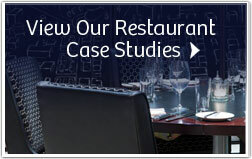 Sign up to our introductory course and receive 5 FREE guides on restaurant Internet marketing. Yes please send me my 5 FREE GUIDES! Not only is Ignite super creative & on the cutting edge of website development, social media and technology, but they are also extremely organized... making a large project seem easy. To find out more about our expertise, contact us today!